Every year, my precious Gram assured me, Christmas arrived faster and faster. At eight years of age, I looked up into her baby blue eyes and my eager heart could scarcely fathom her point. All kids knew Christmas took forever to arrive. We waited eons before it finally showed up. Fast forward many years, and I seriously understand what she meant. The year zooms by at warp speed. First comes New Year’s Day. Five minutes later it’s Valentine’s Day, followed immediately by Good Friday and Easter. A week and a half later, I am sweeping up firecracker and sparkler debris from my driveway, and bam! It’s Thanksgiving. And then it’s Christmas time. Again. I hardly have time to catch my breath, let alone purchase gifts, find cute wrapping paper, and Christmas-tize my house. Or spend time with the One it’s all about. If, like me, you’d love for life to slow down, particularly as the holiday season begins to ramp up, it’s important to understand that we can choose to still our hearts. It may not be easy, but if we desire the authentic, heart transforming experience of Christ’s presence in the midst of the Christmas crazy, we can choose a holy pause. A holy pause is the opportunity to step out of the madness, the demands, and the haste of the season, and into His presence. It’s the decision to shut ourselves away from the endless noise and commotion and quietly engage our hearts with His. It’s the chance to trade His stillness for our rushing, His peace for our panic, and His joy for our irritability. 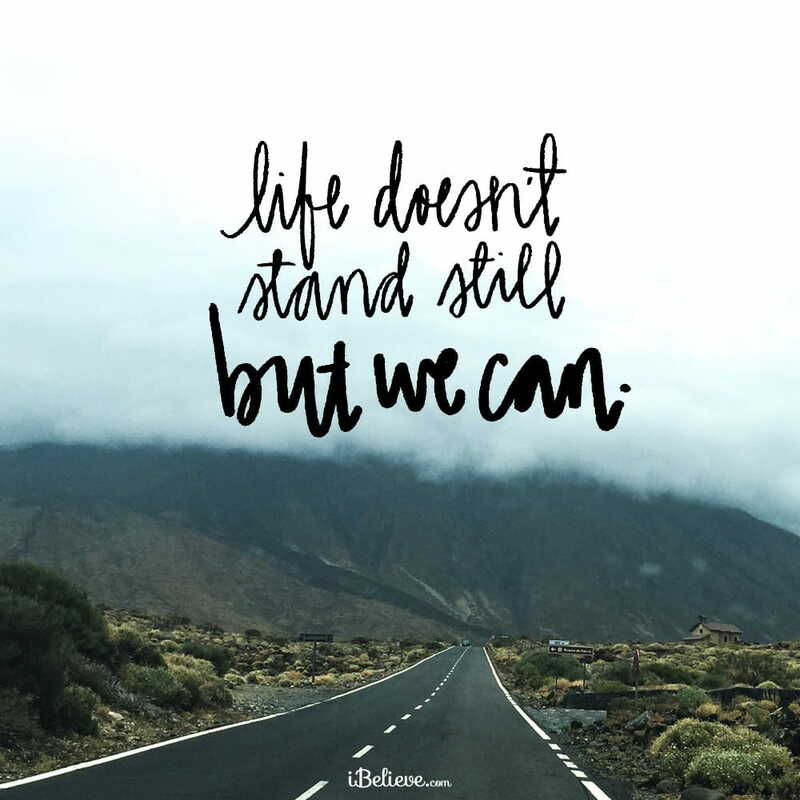 Life doesn’t stand still, but we can. God desires for us to honor Him by spending the expensive currency of our time, even in the busyness of the season. To engage in the difficult but oh-so rewarding discipline of quieting our minds, bowing our hearts, and pausing before Him. It’s then that we can begin to experience the beauty of His awesome, all-sufficient presence. What if we allowed our hearts to marvel at His unfathomable journey from eternity into an unassuming, most unroyal manger? What if we pondered the miracle of His birth and the reason behind it? What if we asked Him to fill our hearts to overflowing with the reality of the priceless gift of His presence? Lord, I bow my heart before You and honor You. Help me to choose not one but many holy pauses this holiday season. Please nudge me by Your Spirit and remind me to step away from the Christmas crazy and get alone with you. In Jesus’s awesome name, Amen. Editor’s Note: Content taken from “How to Take a Holy Pause before the Christmas Crazy” by Julie Gillies. You can read that piece in full here. All rights reserved.